Move Loot, the startup that wanted to take on Craigslist with a better service for selling furniture, is winding down operations and is in acquisition talks with a “symbiotic” company. The company stopped letting users post new items to its online marketplace in late May. Customer complaints on Twitter allege that the site has failed to deliver recently purchased items, and all of the items on the site are no longer eligible for delivery. The company hasn’t responded to many users except to say that there has been a “site issue”. Bill Bobbitt, Move Loot’s CEO and cofounder, told Business Insider that the San Francisco-based startup is currently in acquisition talks but wouldn’t provide more details. The startup has been shopping around its customer email list to potential buyers, a source familiar with the matter told Business Insider. The company has raised about $22 million from investors including Google Ventures, First Round Capital, Index Ventures, Y Combinator and Metamorphic Ventures. 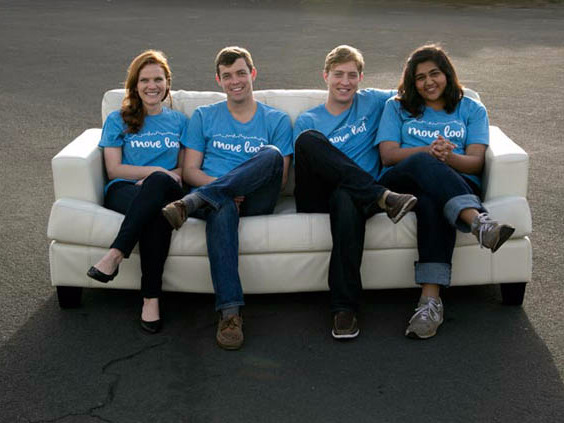 Move Loot was founded in 2013 to reinvent how people buy and sell their furniture. Instead of bad Craigslist postings that resulted in hard-to-coordinate pick-ups and deliveries, Move Loot’s solution was to take the furniture off your hands, professionally photograph it, and deliver it once the sale was complete. Move Loot’s money came from taking a cut of the profits. But, the business model had some problems. In November, the company broadened its marketplace so that other stores, like a local antique shop, could post their items. In March, it switched to a model where anyone could upload their own photographs to the site, then Move Loot would only take care of the delivery part. The change also corresponded with the company going national through a partnership with a shipping platform. Its “white-glove” service of pick-up and delivery was only available in a few cities, but customers anywhere could choose to pay extra for shipping outside of those zones. Since the expansion, no business news has been posted on the site’s blog. The company stopped tweeting on May 13, other than a few replies to the growing chorus of upset customers. Customers have accused MoveLoot on Twitter of taking their money and failing to deliver the items. Other sellers remain frustrated that the marketplace closed with no warning, leaving them in a lurch when trying to move out. The phone number that it had given out on Twitter for customer support now has a voicemail saying that phone support is no longer available. @MoveLoot email from u said my couch sold 5d ago. haven’t heard from u abt pick up. need to vacate my apt ASAP. contact # ?? pls advise!! Total customer service failure. Wrong item sent (refused by me) after a month! No reply to multiple emails!
. @MoveLoot just called Amex and got it all sorted out. If you’re going under, at least do it with respect for your users.